Back Row (L to R): J. Byrne, T. Coughlan, G. Morrissey, M. Farrell, L. Whelan, J. Crotty, A. Flynn, M. Terry, J. Terry. Front Row (L to R): P. Whelan, M. Organ, G. Foley (Capt. ), J. Hogan, M. McGugh, J. Morrissey. 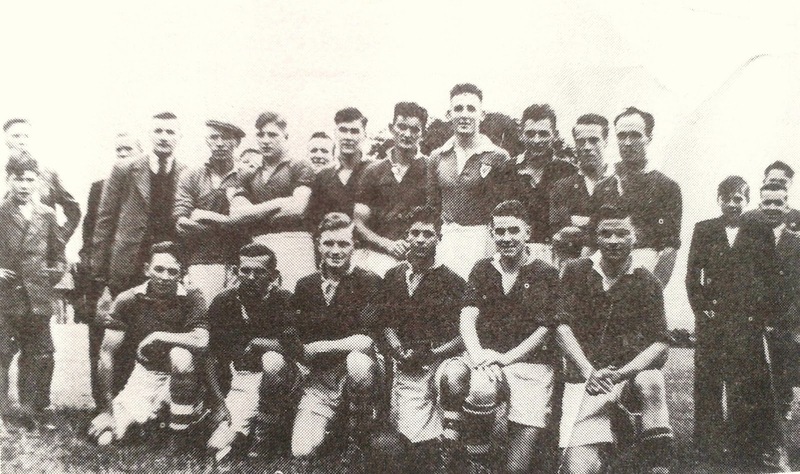 This week's photo features supporters with the Ballinacourty Junior Footballers of 1952. The team reached the Western Semi-Final only to be defeated narrowly, 3-3 to 3-2, by Kilgobnet after a replay at the Fraher Field.